Anthony joined Johnny's International Sales Department in 2007. Anthony holds a Masters in Business Administration and is fluent in Spanish. He is the Territory Sales Representative for all countries excluding the United States and Canada. Anthony works to ensure his customers' success from garden to market by staying up-to-date with gardening techniques, culinary trends, and technical growing knowledge. Every spring he looks forward to starting his own garden — something he has done nearly every year since childhood. A seed is only the beginning. Tastes evolve, preferences change, and vegetables can have “a moment.” In the fall, gardens are anticipated. In the winter, they get planned. In the spring, they are prepped and two, even three seasons of enjoyable labor yield a harvest that brings pride and a sense of accomplishment. But in the beginning, all you have is the seed. Johnny’s has always been proud to supply our customers with seeds from our own award-winning breeding program. My favorite vegetable is the pepper, and Johnny’s has bred many unique and delicious varieties. Peppers are a very regional crop. For example, what is grown in the American southwest and in northern Mexico is incredibly different from what is grown in Southeast Asia. The good thing is that both types are fantastic and their differences should be embraced. Italian corno di toro types like Carmen are sweet and can be eaten right off the vine or lightly fried or roasted. 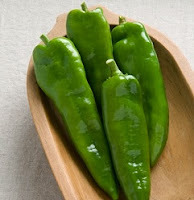 Anaheim chilies like Highlander are used in the wonderful Mexican dish, Chiles Rellenos. 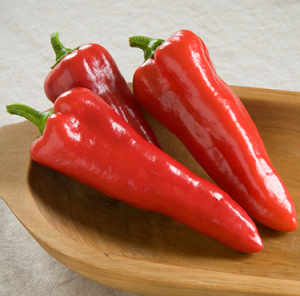 Serranos and Cayenne chilies like Red Flame bring a tolerable amount of heat to a dish. But peppers don’t have to be eaten fresh. A dried Poblano is an Ancho. A dried Jalapeno is a Chipotle. They can be dried and then pulverized or they can be pickled. Peppers are diverse; with a myriad of different uses. Gardening should be fun. Go out and get some pepper seeds and have fun with them. You won’t be disappointed. To contact Anthony, you can reach him via email at: astevenson@johnnyseeds.com, or Toll-Free at: 877-564-6697, ext. 5310. Otherwise, for general inquiries about Johnny's Commercial Sales, email service@johnnyseeds.com and we will get back to you shortly.